Look what we received for both Boston and Naples! 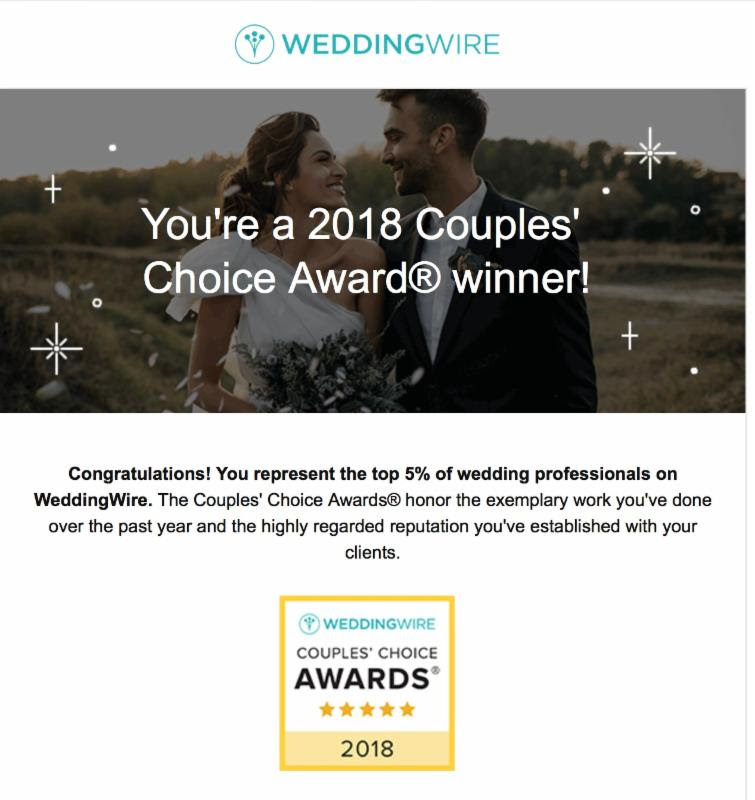 We received the “Yelp Award” this morning and the “Couples Choice Award” this afternoon. What a day! And it is all because of you! Thank you so much for giving us the privilege of being part of your special day, referring your friends, writing wonderful reviews, and spreading the word. Thank you to my amazing Boston and Naples teams who are the most professional, caring and talented artists. I am so proud!